High strength wrought iron style side gate. Features a traditional arch top for a timeless appeal. Ideal for any residential setting. 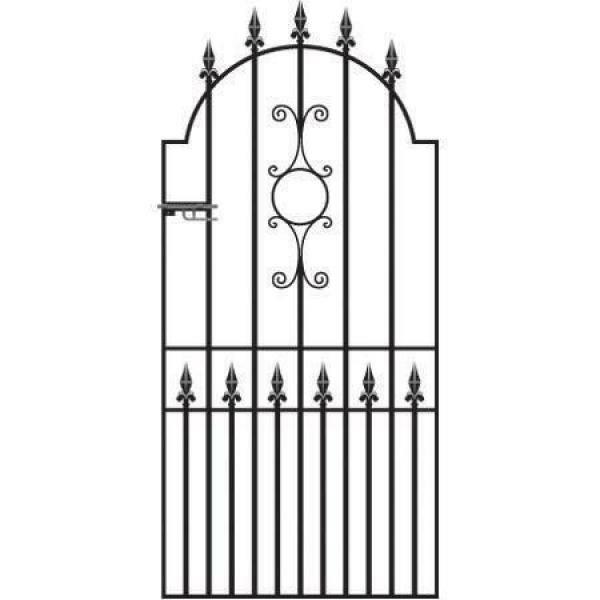 The Royal Grange wrought iron style side gate features a traditional arch top, central scroll and fleur de lys finials to ensure plenty of charm and character whilst the sturdy framework and infill bars create high levels of security and privacy. 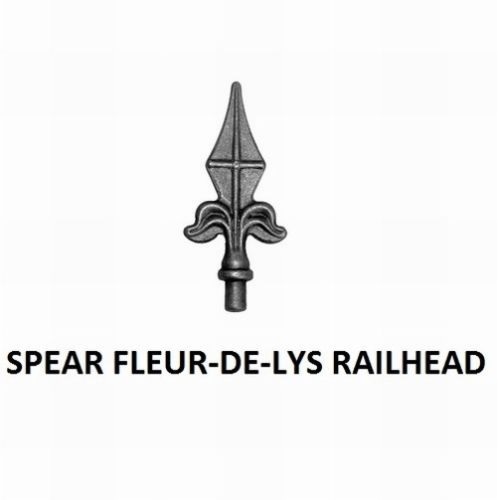 Heavy duty wrought iron style construction is perfect for any residential entrance. Traditional design elements create a universal appeal. Handmade in the UK using 40mm x 10mm frames and cross rails combined with 16mm solid metal infill bars. 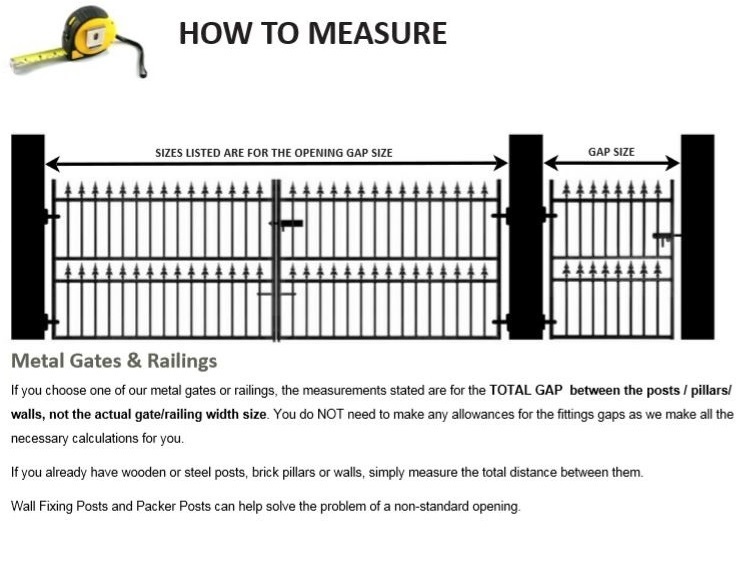 Gates are supplied with adjustable hinges and sliding latch (can be secured using a padlock). Royal Grange wrought iron style gates come in a black primer finish and must be painted before you install them. 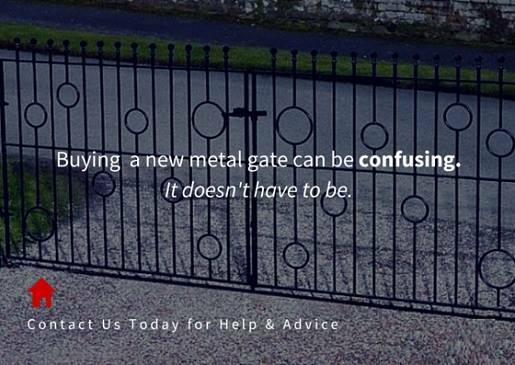 Do you need assistance selecting a new gate? To view information about sizes please take a look at the measuring guide. for general queries have a look through the frequently asked questions page or to speak to us in person call us on 0844 804 5577. If you would like to upgrade the features on this high quality metal side gate we have the following accessories and additional items available.